The job of a conductor on a New York City subway train is a voyage into the heart of darkness. I was born in Hungary, from which I escaped in 1982 at age 18. I settled in New York in 1984 with the intention of becoming an artist, but after nearly a decade of struggle I realized I might never make it. In 1993 I enrolled in the City University of New York, while I supported myself for four years as a conductor on New York City subway trains. There can be only a few jobs that so quickly introduce an immigrant to the realities of multi-racialism. Beneath the streets of New York I have seen and done things that very few whites will — I hope — ever see or do. Conductors operate the doors of trains, make announcements, give information to the passengers, and oversee the safety of people on trains and platforms. Most of the time they stay in a small compartment, or cab, in the middle car of the train. There are many cities that operate subways with only a driver, but New York City is a challenging place, where putting only one person on the train would expose the system to violence and chaos…… To Read More….. The Ohio Department of Medicaid never released a December caseload study, but a December eligibility and expenditures report pegged enrollment at 471,452. Caseload reports, which include revisions for previous months, have consistently shown large increases in previous months’ enrollment due to backdated eligibility. For example, June enrollment in Kasich’s Obamacare expansion was initially reported as 285,553 before increasing in every subsequent caseload report. June enrollment was revised to 367,446 in ODM’s January caseload release. July enrollment, first reported as 338,707, has been revised upward every month and was reported as 394,162 in the January caseload release. November enrollment jumped from 450,941 in the November report to 469,737 in January. Ohio spent more than $2.1 billion in Obamacare money to pay for Medicaid expansion benefits through December. A $2.56 billion Ohio Controlling Board appropriation for the expansion was meant to last until July. With monthly expenditures topping $300 million by the end of 2014, ODM will almost certainly exhaust its Controlling Board appropriation this month. The Kasich administration has not responded to Ohio Watchdog inquiries about its plans to pay for expansion through June. Republican leaders in the Ohio House and Ohio Senate have signaled they would make no effort to overturn Kasich’s unilateral expansion of Medicaid to able-bodied, working-age adults with no dependent children. After putting half a million Ohioans on Medicaid under Obamacare, Kasich is emphasizing “welfare to work” proposals in his budget for fiscal 2016 and fiscal 2017. In a House Finance and Appropriations Committee hearing Wednesday, Democrats expressed skepticism over Kasich’s recommendation that adults on Medicaid pay small premiums if their income exceeds 100 percent of the federal poverty line. “My concern is it will turn less into a personal responsibility issue as more of an unnecessary burden, an unnecessary obligation,” Rep. Dan Ramos said. The Kasich administration has estimated “about half” of the Ohioans added to Medicaid under Obamacare have jobs. Greg Moody, director of Kasich’s Office of Health Transformation, reminded Ramos eligibility for Obamacare exchange subsidies begins at 100 percent of the federal poverty line. “Without expansion, federal law requires individuals to have insurance for which they pay a premium on a monthly basis that, at low-income ranges around 100 percent, are about $20 a month,” Moody said. “It seems fair to reflect that policy so as to not create a distinction between people at exactly the same income level when they make a choice to get coverage through the exchange versus coverage through Medicaid,” he added. Kasich — who claims his Obamacare expansion has nothing to do with Obamacare — could address this issue by capping eligibility for Medicaid at 100 percent of poverty, but that would mean missing out on billions in new federal spending. amendment, Kasich has vociferously defended his decision to add almost 500,000 people to a federally funded entitlement program. Kasich has even accused Republicans in states not embracing Obamacare of ignoring God’s will. “Though it won’t save Ohio taxpayers from paying the growing check he has written, it would be nice if John Kasich admitted he was wrong on enrollment numbers and show an ounce of remorse for being so wrong,” Matt Mayer, president of free-market think tank Opportunity Ohio, said in an email to Ohio Watchdog. “The same goes for the editorial boards who continue to shill for Medicaid expansion in spite of the cold, hard facts of what it is going to cost us,” Mayer added. The Columbus Dispatch, Cleveland Plain Dealer, Cincinnati Enquirer, Toledo Blade and Akron Beacon-Journal endorsed Obamacare’s Medicaid expansion almost immediately after Kasich introduced it in his 2013 budget plan. The state’s largest newspapers have all reported the Kasich administration’s Obamacare projections without skepticism while ignoring critics’ concerns about Medicaid expansion’s likely cost and outcomes. 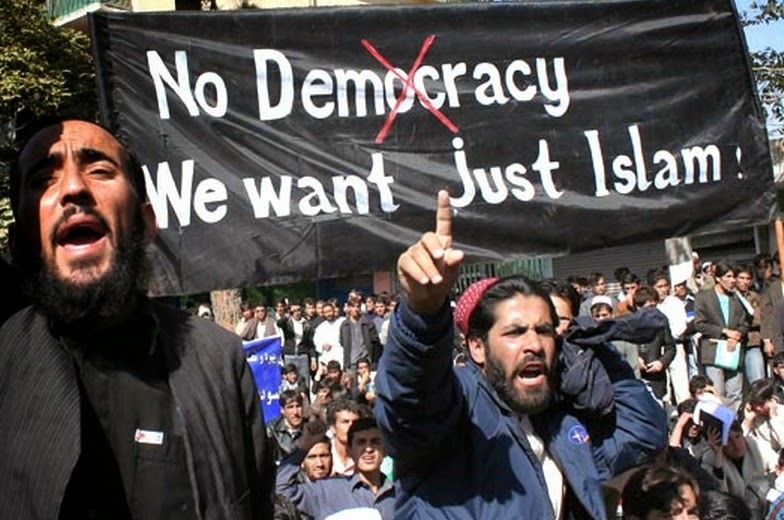 Islamic State murders 15 Christian hostages, beheads woman; 35 Christian villages emptied, deserted - And to think that the President of the United States sits idly by and exploits these horrors to proselytize for Islam and insist that Islam is peace. Third Muslim arrested in Copenhagen jihad massacre - One again the bogus, nonsensical narrative — the lone wolf — blown to smithereens. First Pictures of Jihadi John Before He Became Devout - Jihadi John was once a fun-loving ten-year-old who adored The Simpsons, Playstation games and eating chips, and dreamt of becoming a Premier League star, scoring goals for Manchester United by the age of 30. So what happened? Islam. PHOTOS: Muslims who hacked prominent American writer/free speech activist to death at book fair used cleavers - On Thursday I was one of the first news sites to report on the slaughter in broad daylight of an American-Bangladeshi write, blogger, human rights activist by savage jihadis. Norway arrests devout Muslim preacher who praised Charlie Hebdo killers - Millions of Muslims all over the world think this way — witness the demonstrations we saw in Pakistan, Iran, Chechnya and elsewhere, with hundreds of thousands of Muslims demonstrating against the Muhammad cartoons, not against the killing of the cartoonists. And Norway and other Western countries are importing them in huge numbers, with no thought to the future upheaval they are bringing upon their people. Here’s the list of the Extremists (Democrats) who are SKIPPING Netanyahu’s speech to Congress - The usual suspects, Muslim Jew-haters and extremists. It’s better without them. Back in 2006, I had the honor to be present in the Congress when the Israeli Prime Minister (then Ehud Olmert) addressed the Congress. I was not a fan of his, but it was thrilling. The moment was much bigger than who the PM was. The response by the Congress was overwhelming. He was met with thunderous applause, except for a small group of the long, ugly faces who sat there motionless, never applauding, never smiling — silently hissing. Here’s how I described them:…. Trey Gowdy Blasts Democrats on Breaking Immigration Laws! Rep. Trey Gowdy (R-SC) blasted the Democrat Party for their blatant mishandling and breaking of our immigration laws. When President Obama passed Executive Amnesty without thought or care for what the law says he attacked the very foundation of our nation… respect for the law. “The thread that holds the tapestry of our country together is respect for and adherence to the rule of law. The law is the greatest unifying and equalizing force that we have in our culture…I’m going to say this for those who benefit from the president’s polices. You may be willing to allow the end to justify the means in this case. You may well like the fact that the president has abused prosecutorial discretion and conferred benefits in an unprecedented way. You may benefit from from the president’s failure to enforce the law. This appearshere with a video…. There are two models for fighting terrorism. We can see the terrorists as an external invading force that has to be destroyed or as an internal element in our society to be managed. In the War on Terror, Bush saw terrorists as an external force that had to be fought while Obama sees them as an internal element to be managed. And while both men signed off on some of the same tactics, their view of the conflict at the big picture level was fundamentally different. The differences express themselves in such things as detaining terrorists at Guantanamo Bay or backing Islamist democracy. If Muslim terrorists are an alien force, then detaining them without trial is no more of a problem than detaining Nazi saboteurs was during WW2. And if Islamic terrorism is driven by alien impulses, then it has nothing in common with us and attempting to accommodate it cannot succeed. Obama and the Europeans see Islamic terrorism as a social problem whose root causes need to be resolved rather than defeated. It’s the old model used for the radical left which was “fought” by mainstream parties adopting elements of its program to compete with it… with disastrous results. But the results of adopting elements of the Islamic program would be even worse. Muslim terrorists reject the assumption that they are a domestic social problem. 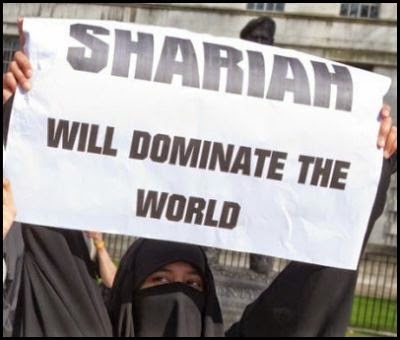 To the Muslim born in France or the UK, who may even be a native convert, the domestic social problem comes from Jews and Christians who refuse to acknowledge the supremacy of Islam, from cartoonists who draw Mohammed and from women who leave the house. Islamic terrorism is meant to integrate us into the Dar-al-Islam. If we are going to view Islamic terrorism as a domestic social problem, then we might as well take a look at how Muslim countries deal with terrorism. They rarely declare war against it, but when they do, they tend to engage in ruthless mass slaughter. Jordan may have killed as many as 20,000 Palestinian Arabs in its fight with the PLO. Assad’s father may have killed 40,000 Syrians in Hama when putting down the Muslim Brotherhood. The death toll from the current conflict hovers at around a quarter of a million. But Muslim countries rarely fight terrorism. Like Obama, they mostly manage terrorism. In Muslim countries, terrorism actually is an internal element. It’s not an alien force, but an ongoing momentum of expansion and conflict that predates the airplane and the bomb. This is the tool that Mohammed and his successors used to conquer sizable portions of the world. That’s why Muslim countries don’t fight terrorism. They export it. Jihad is a ticking time bomb that they dump on their enemies. Major Muslim countries sponsor terrorist groups the way that we sponsor sports teams. Sometimes they fight a terrorist group and then sponsor it and fight it again. Sometimes they sponsor it and fight it at the same time. That’s the kind of situation that gives counterterrorism experts headaches, but maintains a bizarre kind of stability in the region. Exporting Islamic terrorism is something that Muslim countries can do more easily than non-Muslim countries can. The Russians are about the only non-Muslims to have managed to do it without getting hurt too badly. Our own efforts in dabbling with foreign Muslim terrorists have been disastrous. Trying to export domestic Muslim terrorists into another conflict would be a terrible idea. Nevertheless the West is doing just that in Syria, intentionally or unintentionally. And the consequences will be quite serious because unlike the Saudis, we can’t keep generating international conflicts for them to fight in fast enough to prevent them from coming home and killing Americans. Obama and the EU are trying to manage Islamic terrorists, but only Muslim countries can do that. In the Muslim world, terrorist groups function as unofficial militias, proxy armies that can be dispatched to fight their enemies. But Islamic forces fight for an Islamic cause. Obama can claim that America is one of the world’s largest Muslim countries, but he can’t call on their Islamic allegiance to the United States. The Islamic terrorist is not a legitimate domestic element in America, the way that he is in Pakistan or Syria, because he has no function here. The United States is not in need of freelance fanatical militias following a foreign creed that puts them at odds with Americans. If we attempt to cultivate Islamic terrorists, then we will still end up becoming their first, or at best, second choice of targets. The West can only defeat Islamic terrorism by treating it as a foreign element; an outside force that must be destroyed, rather than accommodated. Unlike Islamic countries, we cannot accommodate it without destroying what we are. And we cannot make use of it without destroying ourselves. Europe still insists on seeing Islamic terrorism as a domestic social problem and if its Muslim population continues to grow, then eventually it will be correct. 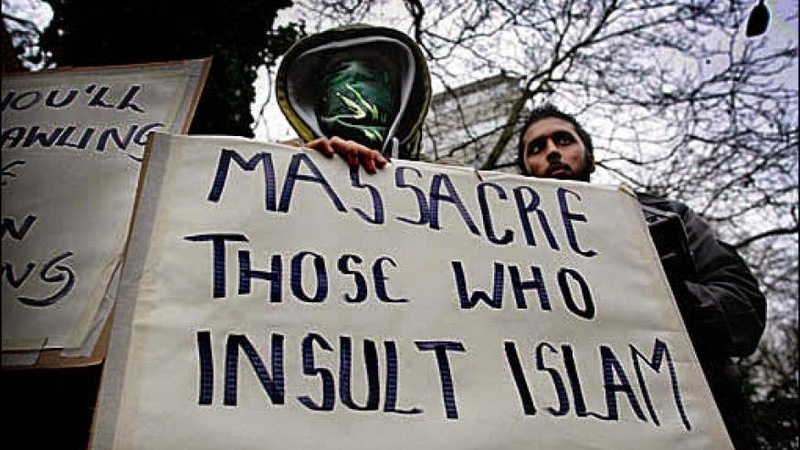 Islamic terrorism will cease to be a foreign threat to Europe and become the means by which its non-Muslims are integrated into accepting Islamic rule. The United States however is not an Islamic country in any sense of the word. It does not face the same demographic danger as France. And it should not treat Islamic terrorism as a domestic element. To defeat an enemy, we have to view it as external to ourselves. When we accept Islam as a domestic phenomenon to be grappled with, managed, moderated and deradicalized; then we give up on the possibility of defeating it because an internal problem that is part of us can never truly be defeated. And that defeatism becomes a self-fulfilling prophecy. When we treat the War on Terror like the War on Drugs or the War on Poverty, then we accept the impossibility of winning. Instead we adapt to a European mindset of managing the fallout from the latest batch of attacks. Terrorism becomes no different than crime; a threat we try to live through without hope of ever seeing it end. And that way lies a police state and numberless terror attacks for it to police. Declarations of war are important because they remind us that we have an external enemy. Internal enemies may be a part of us, but external enemies are not. We can defeat them without defeating ourselves. We are not doomed to fight an endless struggle with Islam unless we make it a part of us. It is fairly standard practice for companies to try to give their customers what they want, even if it makes no sense. Perhaps the most notable recent example was Johnson and Johnson, which bowed to pressure from “consumers” (aka “environmentalist” and consumer activist groups that supposedly represent consumers) to remove quaternium-15 from their No More Tears baby shampoo. White, whose degree from the University of Tennessee College of Law undoubtedly prepared her to deal with complex toxicology issues, latched on to the OJ defense mantra—science by rhyming. The result: J&J, rather than risk being labeled as “baby killers,” caved. So, other than maybe EWG’s bank account, it is reasonable to ask whether there were any health benefits from this change. You decide. Another meaningless claim is the GMO-free nonsense. Among other things, this means that they will not be using sugar that is derived from GM sugar beets. But, as we have repeatedly noted, the sugar (sucrose) from GM-sugar beets is completely indistinguishable from the sugar (sucrose!) derived from any other source, such as non-GM sugar beets, or sugar cane. Strike two. Finally, regarding the “natural is good” fallacy, consider a huge story, also from this week. Thousands of dogs were killed by consuming food contaminated by mycotoxins—a class of highly toxic, carcinogenic chemicals which are produced by mold. These are natural. The real reason, as you may have guessed by now, for the move by Hershey is clear as organic water. From The Guardian, “Hershey’s rival Nestle has recently announced they would remove artificial ingredients from their products.” Yep—Hershey is going green. The same color as money. The latest Ohio by the Numbers report (now available on The Buckeye Institute's website) shows that while Ohio's labor market did not see any remarkable changes in December, it did continue a healthy growth trend. Private companies added another 6,300 Ohioans to their payrolls, while governments lost 1,200 employees. Ohio's unemployment rate continued to drop, falling from 5 percent to 4.8 percent. Ohio's unemployment rate has now fallen by more than twice as much as the national rate over the past year……Unfortunately, the decline in the unemployment rate was not again concurrent with a rise in the labor force -- Ohio gained 6,300 private sector and shed 1,200 total government jobs in December; Ohio's unemployment rate dipped markedly to 4.8 percent; Ohio ranked 28th nationally in private sector job growth since January 2010, increasing 8.4 percent (11th-ranked Michigan increased 8.9 percent); Ohio currently ranks 47th nationally for private sector job growth since January of 1990, increasing only 10.9 percent (top-ranked North Dakota grew 102.6 percent during the same time span). For the full report, please click here. For the full labor force update, click here. On February 10, The Buckeye Institute released a report reviewing the initial budget blueprint released by Governor Kasich on February 2, 2015. The budget contains some positive, and long overdue, pro-growth reforms such as large reductions in the personal income tax. It also has many elements that will not boost Ohio's growth as envisioned but will instead limit prosperity. These elements include a doubling down by the Governor on previously rejected tax increases such as on cigarettes, the oil and gas industry and the Commercial Activities Tax. They also are violations of principles of sound tax policy as The Buckeye Institute outlined in a recent report. The following are several initial observations:………Overall state spending is increasing faster than can be justified through either inflation or population growth. The largest increase comes from moving the Medicaid expansion costs back onto the General Revenue Fund (GRF) books. However, state-only GRF spending also eclipses inflation. On Monday, February 23, The Buckeye Institute released a new report that explains how a change to federal Medicaid funding rules may cause the Medicaid expansion program to become even more costly to Ohio taxpayers. In 2013, The Buckeye Institute warned that the Centers for Medicare and Medicaid Services (CMS) could disallow a tax scheme on which Ohio depends to fund the expansion. A more recent federal investigation of that same scheme in Pennsylvania has brought renewed scrutiny to the system and raised the likelihood of a ban. Buckeye's report finds that if CMS issues such a rule change in 2016, Ohio's state budget will cumulatively lose up to $1.3 billion in anticipated revenue by 2022. Worse, the expansion program will become a cumulative net loss by 2026, and continue to impose annual losses thereafter. The report's author, Joe Nichols, stated, "As previously warned, the decision to expand Medicaid was a risky move given so much federal funding uncertainty. Unfortunately, our latest findings confirm that Medicaid expansion remains an ill-advised policy decision and a bad deal for Ohio taxpayers." US “Right to Know” (US-RTK) is a lobby group opposed to genetic modification (GM), and with the mandate to implement mandatory labeling of foods produced using GM technology. The organization has requested public records (such as emails) going back to 2012, from public university scientists who are engaged in educating the public about GM technology. Dr. Kevin Folta, a professor and researcher at the University of Florida, is one of the 14 scientists the group has targeted. The following is from a conversation with Kevin regarding the RTK tactics, as well as his thoughts on the role of the scientist and public perceptions about genetic modification. KF: They are using important transparency mechanisms to intimidate scientists, and dissuade others from participating in the discussion. It’s an enormously expensive endeavour. Everybody has been completely cooperative and excited to provide this material. I know I don’t have anything to hide – I’m happy to talk about it. It takes two things to show that there’s corporate influence in my statements. One is you have to show a connection. Two, you have to show that something was said that would not have been said if it wasn’t for that influence. I think that’s where US-RTK fails. Scientist opinions, and our discussions of the scholarly literature, would be exactly the same if those companies never existed……To Read More….. The gluten-free trend keeps growing. But is it all just hype? Does gluten sensitivity really exist? Are more people being diagnosed with celiac disease? Is modern wheat the problem or could it be genetic engineering? Here we unravel! Nevada Assemblywoman Michele Fiore said recently that she will propose a "Right to Try" bill in her state. But it's not the bill itself that gained national attention. Instead, it was Fiore's statement that she believes cancer is "a fungus" that can be cured by "flushing, let’s say, saltwater, sodium carbonate" through the body……"If you have cancer, which I believe is a fungus, and we can put a pic line into your body and we're flushing with, say, salt water, sodium carbonate, through that line and flushing out the fungus," she said. "These are some procedures that are not FDA-approved in America that are very inexpensive, cost-effective."….. Advocates usually note that the bills can help people access promising new drugs before the FDA's approval process is complete. Although the FDA does have a process to grant “compassionate use” exemptions to allow patients to gain access to those promising treatments, "Right to Try" supporters believe the process -- along with the FDA's drug approval timeline -- is too bureaucratic…….. If her bill passes, Fiore argues, alternative treatments could instead happen in Nevada. "Why not make it the medical capital of the world, too?" she said…..To Read More…. My Take – The problem with this account is its layered in such a way that fails to deal with the primary issue – Your right to decide what medical treatments you should receive. It’s clear this woman’s character is questionable. It’s clear her grasp of chemistry is miniscule. Its clear her solution for curing cancer is right out of the Land of Ole Doc Oz based on a foundational concept that we need to become purified - which is right out of the green religious “blood and soil” concept of Nazi Germany. It’s clear she and her cohorts are promoters of the idea it’s modern life that’s causing cancer. It’s clear she and all those who support such stuff fail to note that back when everyone was “pure” from modern chemistry and industrialization most people didn’t live long enough to contract cancer. Apparently chemical “purity” is deadly. The issue that really needs to be addressed is lost in the side bars, and that is whether or not a terminally ill patient can determine what treatments they receive even if those treatments aren’t approved or have ever been tested. Even if the promoters of that concept have questionable character or knowledge. That’s the issue…get past all the other stuff. That was about to change. After law school, I accepted a job with the civil division of a major metropolitan area’s legal office, which defends the city against lawsuits. If you were hit by a police car, for example, and decided to sue, we handled the case. Incoming lawyers were assigned to various locations around the city, and I landed in the least-white part of town — 29 percent and falling. "For me the protection of Planet Earth, the survival of all species and sustainability of our ecosystems is more than a mission. It is my religion and my dharma." The author of that statement has, for the past 13 years, been one of the world's most influential government advisers in the area of energy and climate policy, and one of the most visible spokespersons for climate science. During this time we have witnessed a near-complete shutting down of open scientific debate, militant hostility to any questioning of the claims or assertions of the IPCC, and the zealous promulgation of costly and irrational energy policies with inadequate regard for the balancing of human costs and benefits. It is clear that a missionary environmentalist mindset has been embedded at the highest levels of the IPCC, and we reiterate our concerns that it has been spreading throughout the organisation, with the full support of the leadership. We call upon policymakers to begin asking some overdue questions about this organisation upon which they rely so heavily. In particular, we are left to wonder how Dr Pachauri's extreme biases have affected the work of the IPCC in recent years and the advice it gives to governments. The federal government has long resisted real evidence and limitations when it comes to education. China has been patiently trudging toward a goal of replacing the U.S. as the world's dominant power by 2049. The Walker-Christianity coverage only shows he needs to get better at handling pointless media questions…. The settlement comes at a time when colleges are being sued for not giving students adequate due process. Elimination of the corporate income tax would boost the American economy by 6 percent in the long run….. The debate could last months, and it's not certain Congress will even vote on the issue. The next battleground in the debate over global warming could be your dinner plate. But it is not clear whether the new support will achieve a "sustainable political outcome." "[N]o Fed has had the oversight it needs over the years. The Fed's been too independent," said Sen. Shelby. A diverse coalition has joined forces to jumpstart long-stalled efforts to get sentencing reform at the federal level. Hillary Clinton has signaled that the focus of her campaign will be women's issues and "the middle class." Doors opened for Hillary mostly after Bill was elected Arkansas attorney general. "I wouldn't be conflicted by any legacy issues of my family," Bush said. "The descendants of immigrants rapidly assimilate into America's political culture," the study asserts. Subsidized exporters are flooding Capitol Hill today to lobby for renewal of the Export-Import Bank. "I think she clearly understands this time the significance of having a woman president of the United States." After transitioning to a private sector career, Cantor is re-emerging as a GOP political power player. The vote is only the beginning of an onslaught of legal challenges to treat Internet as a public utility. The Castro government was put on the list in 1982 for giving refuge to FARC rebels and Basque militants. "If somebody's working for ICE and they don't follow the policy, there's going to be consequences to it." The subject of “equality” is the source of much political debate these days. Ever since the founding era, free-market thinkers have argued for equality of opportunity in the economic order. Equality, in other words, is a framework, not a result. In modern terms the goal is a level playing field. Government should be a referee that enforces property rights, laws, and contracts equally for all individuals. What the free-market view means in policy terms is no (or few) tariffs for business, no subsidies for farmers, and no racism written into law. Also, successful businessmen will not be subject to special taxes or the seizure of property. "Secret Science": it's everywhere, and nowhere, yet it rules our lives - This week, GOP Senators and Representatives re-introduced the so-called "Secret Science" bill, demanding federal agencies operate in the open, rather than the status quo: regulations based on data hidden from both public and scientific scrutiny. Read more. Bariatric surgery associated with some improved pregnancy outcomes - In a new study published in the New England Journal of Medicine, bariatric surgery was linked to less gestational diabetes and fewer larger than normal infants. But not all changes were beneficial. Read more. A new approach to cancer treatment? Makes much sense. - There may be a tool for making better use of the increasing number and variety of cancer treatment options. Pioneering cancer centers look at treating the cancer according to the genetic mutation that caused it, rather than the type. Read more. GMO labeling laws will do more harm than good - Earlier this year, a GMO labeling bill was introduced in Minnesota that would mandate the labeling of foods containing GM ingredients. College student Ronald Dixon hits the nail on the head with arguments as to why this bill will do more harm than good. Read more. Silicone on Trial: A Review - ACSH trustee Dr. Jack Fisher wrote an informative, but disturbing book about the decades long Dow Corning silicone breast implant legal farce. Fisher, a surgeon and historian, was in the middle of the debacle. Read Dr. Josh Bloom's book review. Read more. No link between labor induction/augmentation and autism - The prevalence of ASD seems to have increased significantly over the last 30 years. A new study - confirming prior research - has failed to find evidence of any role of labor induction/augmentation in the subsequent development of autism. Read more. Why study implausible mental health modalities? - University of Toronto professor wants to study use of homeopathy for ADHD, but many disagree. Nearly 100 scientists and physicians have signed a letter questioning the validity of such a study. So do we. Read more. Sauna use linked to better heart health - Finnish study (naturally!) finds a link between sauna use and better heart health - more frequent and longer use associated with positive health outcomes. Tempting - but no proof that saunas caused the improved results. Read more. Can the risk of peanut allergy be reduced in infancy? - Introducing peanuts at an early age in those infants at high risk of developing peanut allergy may reduce their risk of developing this allergy, finds a new study. This research has led some to advocate for an immediate change in guidelines. Read more. Atrazine back in the news, unfortunately, thanks to EU's precaution - An article in today's NYTimes business section references atrazine and trade problems that occur due to its ban by the EU. We note that whatever the byzantine precautionary EU says, atrazine is a safe, effective herbicide that has never harmed anyone. Read more. How to misinform the public about antibiotics -The world is facing a scary scenario: Antibiotics are no longer working because of bacterial resistance, and there's a big hole in the pipeline of new drugs. In the NYTimes, Dr. Ezekiel Emanuel tosses in his two cents, which is about what his op-ed is worth. Read more. Vitamin D not a "miracle" supplement - Vitamin D has been widely touted as a "miracle vitamin," having a myriad of health effects beyond its basic function of enabling the absorption of calcium from food. However, this is not the case, and a new commentary published in JAMA points out that too much vitamin D can be detrimental to health. Read more. Jane Brody's column spreads poisonous nonsense about e-cigarettes - The New York Times' Jane Brody spreads the false party line on e-cigarettes. She does take note that too many are smoking and too many dying from smoking. Her solution? More money for Quitlines. Right. Read more. A Tipsy Ginsburg is The Least of Our Problems!